The televised comments of one of Premier Alison Redford’s closest allies have resulted in a quick and harsh backlash from members of the official opposition. 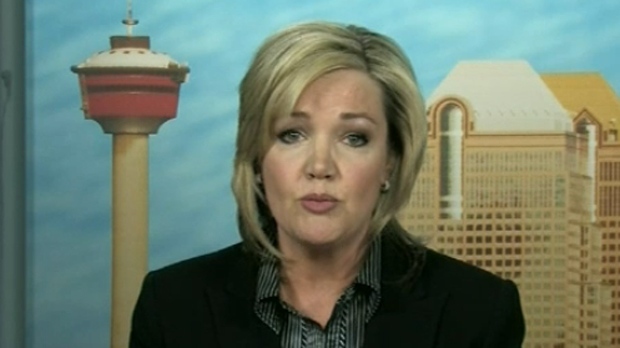 Sandra Jansen, Calgary-North West MLA, appeared on CTV’s Power Play on Friday afternoon. During the interview, Jansen lashed out at former Tory MLA Len Webber and his accusations against Premier Redford, specifically her tendency to bully others. Following the recording, Jansen tweeted an apology, not to Webber, but to electrical workers in general. With apologies to all my friends in the electrical trades...love you. Appreciate your support. My comments were directed at one individual. On Thursday, Len Webber, Calgary-Foothills MLA, announced his decision to sit as an independent citing the premier’s spending of taxpayer dollars and her fits of rage and temper tantrums. Immediately following the CTV Power Play broadcast, members of the Wildrose party demanded an apology from Jansen. "Skilled tradespeople are the glue that holds this economy together, and for a PC minister to be so condescending and insulting towards them is completely unacceptable," said Wildrose Jobs, Skills, Labour and Training Critic Gary Bikman in a media release. In a video posted to YouTube on November 15, 2013, and which is available on Sandra Jansen’s website, the Calgary-North West MLA recognizes National Bullying Awareness Week. Jansen speaks to the impact of bullying and the need for change in society’s approach to the issue.